The World Brought to Your Inbox! Frs. Carl Chudy SX, Michael Davitti SX and Adolph Menendez SX will join thousands of interfaith activists from around the world in Toronto Canada November 1 - 7, 2018 working for a more just, peaceful, and sustainable world. Learn more. Fr. Carl will participate in a panel presentation on outreach to secular society and dialogue with non-believers. Click here for the Office of Interfaith Dialogue 2018-2019 Calendar of Events. We will commemorate the 1st Anniversary of Fr. Bob Mahoney's entering Eternal Life. Join us in the House Chapel at 7 p.m. The evening begins with Mass at 4:00 p.m., followed by cocktails and dinner. Entertainment will be by the Tom Nutile Septet Band. Register here. Final 13th of the Month Marian Devotions at Fatima Shrine. Celebrant: Bishop Robert Reed. Praise Songs at 6:30 p.m., Mass at 7:00 p.m. and Candle Light Rosary Procession at 8:00 p.m.
"Dining for Dollars" at Bertucci's Pizza, Holliston. All day, eating in or take out, show our coupon and 15% of the price of the meal will go to the Xaverians at Fatima Shrine! Coupons are in our office. Dancing in Xavier Hall. Tom Nutile Septet Band. Dance lessons from 7:00 p.m. to 7:45 p.m. Dancing from 8:00 p.m. to 11:00 p.m. Admission is $12.00 per person. See photos of our Sept. 28th event here. Event from Noon to 5:00 p.m. in Xavier Hall For more information contact Fr. Carl Chudy at 508. 429.2144 Register here. The Annual Xaverian Mission Banquet is around the corner. It is happening on October 20, 2018 at The Crown Plaza Milwaukee Airport. The evening starts with the celebration of the Mass at 4:30 p.m. Come and support the missions! In preparation for the annual retreat of the "Jeshua Teruma kitamid" (JTK) group. Fr. Alex accompanies the serving team in their preparation. This retreat is meant for young adults, single or married, of 18-35 years of age. Happy 25th Anniversary Noluakuri Mission! See more pictures of the momentous event on our Facebook page. Feast of St. Francis 2018: Who Is My Neighbor In A Climate-Threatened World? Every October 4th, the Feast of St. Francis celebrates the saint who saw all created beings as his brother or sister. Inspired by this example, Catholic Climate Covenant produces a free educational program to help your faith community explore how it can better care for creation and the poor. 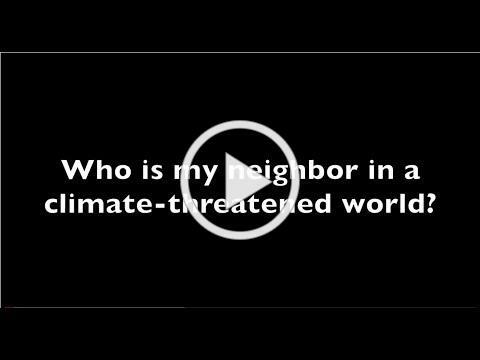 This year's program, "Who Is My Neighbor In A Climate - Threatened World?" focuses on the interconnections between immigration, refugees, and climate change. Learn more. Witness the Global Outreach of the Catholic Church. Celebrate a little's girl's evangelization in the DRC and new Church building in Thailand. See the fruits of dialogue with secular culture. Enjoy the magic of Franklin's Mission Festival and learn more about the Mission Spirituality of St. Guido Conforti. Read it here. St. Guido Maria Conforti, founder of the Xaverian Missionaries. Our "missionary to the world" became a saint on World Mission Sunday, October 23, 2011. Now there is a mobile friendly version of our website dedicated to him. Learn all about him here. Mother Celestina Bottego, founder of the Xaverian Missionary Sisters of Mary. Read about her here. Thank you for joining in our mission!